It has been about 2 weeks since my last post. 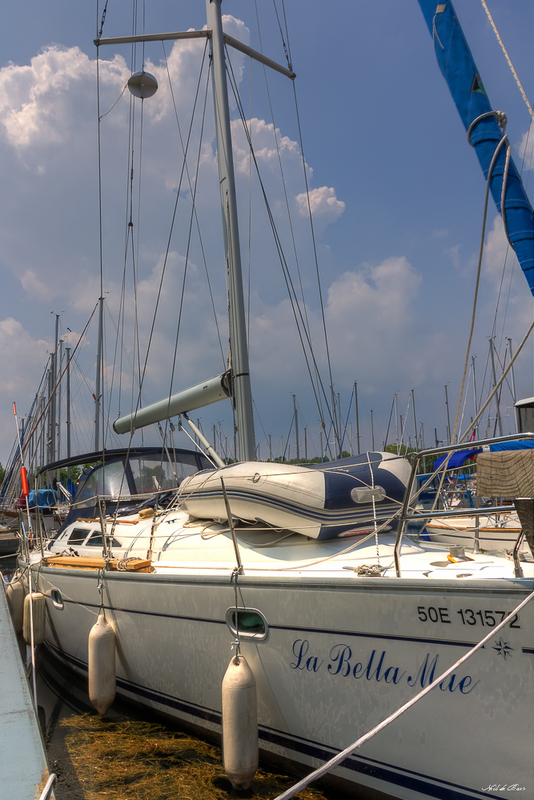 I have been on a sailing trip moving a boat from 50 Point Marina in Grimsby on Lake Ontario to Wiarton on Georgian Bay. The trip took 11 days including one layover day due to stormy weather. We left 50 Point 3:00 pm. We had great wind for the sail over to Port Dalhousie with storm clouds to the North over Toronto. The wind died so we brought down the sails and started to motor. 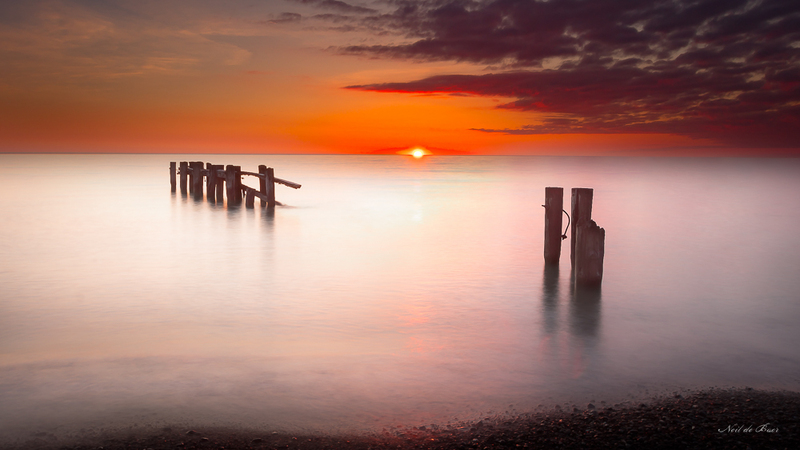 This turned out to be the calm before the storm because the wind shifted to the north and became very strong. It didn’t rain but the wind stayed strong and we were glad to have the sails down. We arrived about 7:00 pm. and prepared to go through the Welland Canal System. 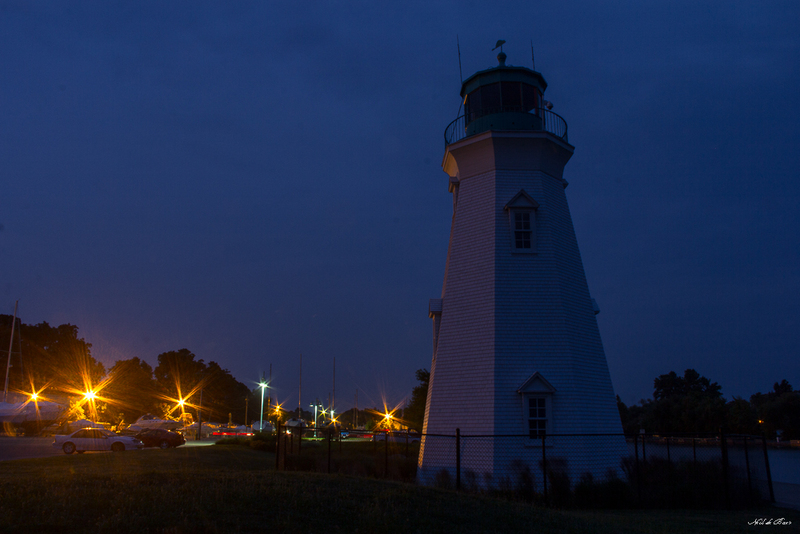 There is a nice lighthouse at Port Dalhousie but it is no longer lit. Tomorrow we will go through the Welland Canal System. 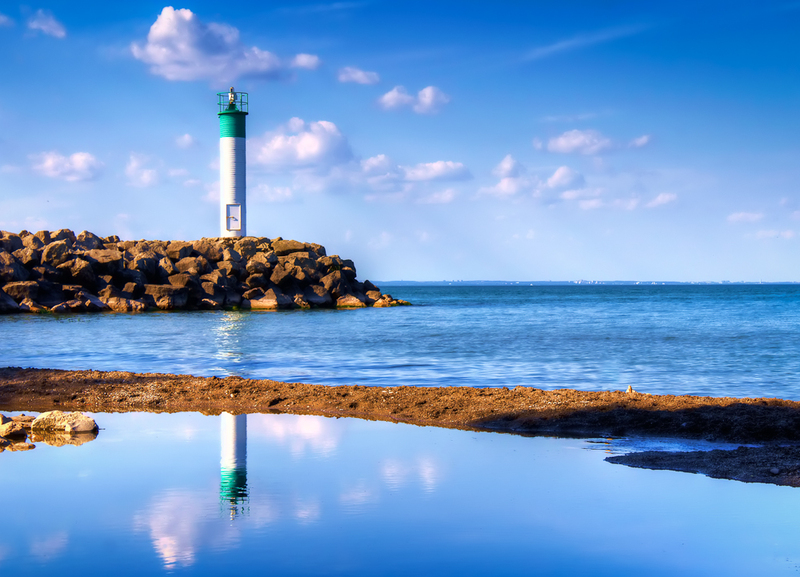 I shot this mid September down on Lake Ontario at the Fifty Point Marina harbour entrance. It was a beautiful day. 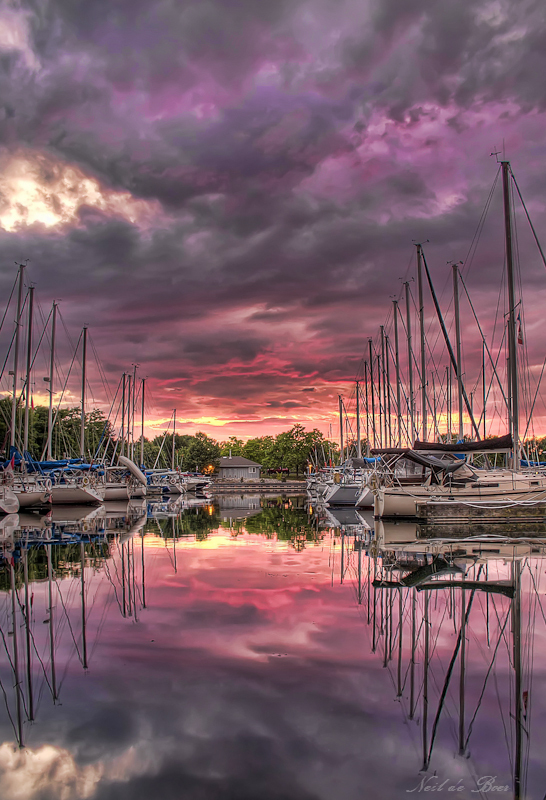 This shot was taken this summer at 50 Point Marina near Grimsby Ontario Canada. 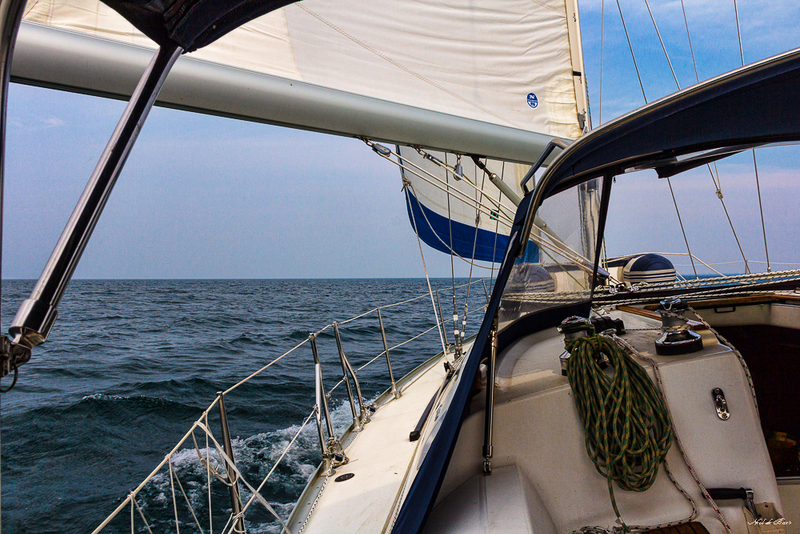 We sailed across the west end of Lake Ontario from Bronte Marina. Though we had mostly sunny weather we could see thunder storms all around us. We got safely docked and the sky opened up with lightning and thunder. After the storm we were treated with this beautiful sunset! This HDR is a 2+/0/-2 three exposure shot process in Photomatix – touched up in Photoshop, Topaz filters, Imagenomic Noiseware noise reduction.